Apple is reportedly delaying production of its long-rumored 12.9-inch iPad because it’s considering adding more productivity-focused features, The Wall Street Journal reports. This could include a USB 3.0 port and the option to connect a keyboard and mouse to the device. Currently, Apple’s iPads don’t come with any ports other than the Lightning connector required to charge it, and a 3.5mm headphone jack. Some Android tablets already have these features. Samsung’s 12-inch Galaxy Note Pro, for example, has a USB 3.0 port, and the company sells a wireless mouse and keyboard case for it. Microsoft’s Surface Pro 3 also comes with a full-sized USB 3.0 port. Apple is also reportedly considering adding fast-charging technology to its upcoming iPad, the Journal reports, but it’s unclear if this will make it into the final design. Some Samsung phones, such as the new Galaxy S6, Galaxy S6 Edge, and Galaxy Note 4, also come with quick-charging tech built-in. 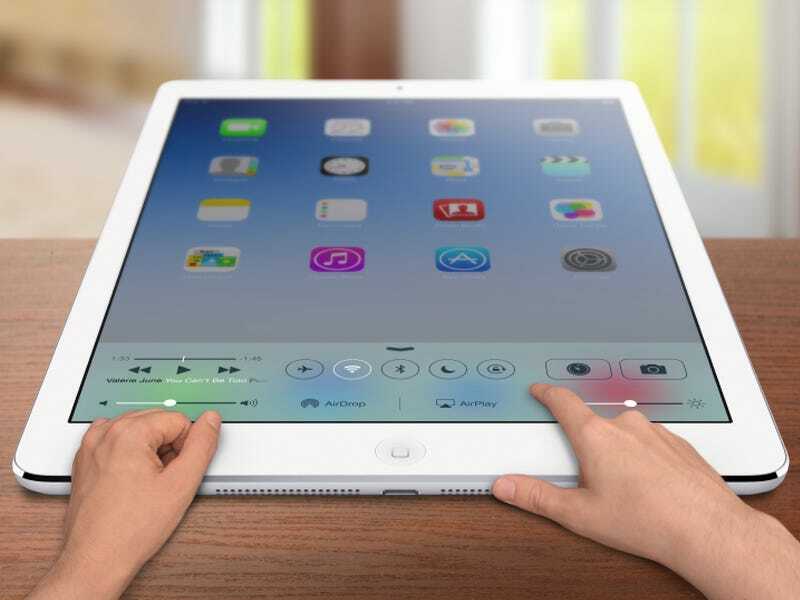 Apple had initially planned to start mass producing its larger iPad in early 2015, according to the report, but the company has now pushed that back to the second half of this year. It’s a strange move for Apple — the company has criticized competitors in the past for making tablet-laptop hybrids by calling PC makers “confused” on stage at a product unveiling in 2013. So Apple’s decision to add laptop-like features to the iPad would seem a bit contradictory. But Apple’s tablet sales have been in a slump, and it’s possible the company is working on something a bit different that offers new use cases. CEO Tim Cook hinted that Apple would be pushing more into the enterprise this year, saying there’s a “real opportunity” to bring mobility to that market in its most recent earnings call.